No one has been killed by Fukushima radiation. 1,600 were killed by the panic over it. 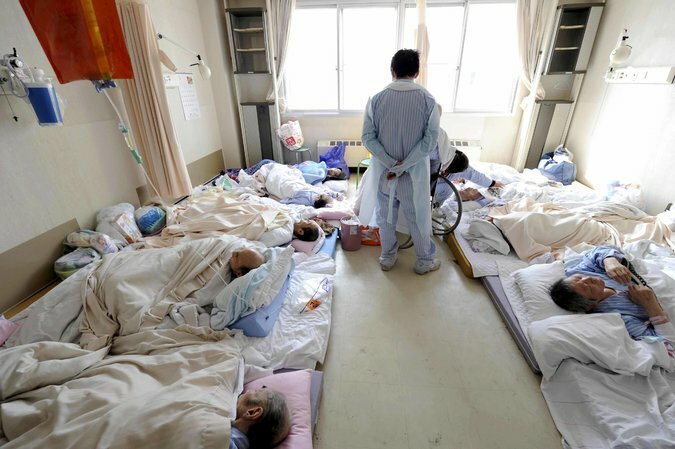 People were removed from intensive care units to high schools. Nursing home residents were evacuated. And some people just killed themselves out of fear. I remember watching a lot of friends and acquaintances obsess over the radiation threat, even as people were actually dying from the tsunamis and (as it turns out) from evacuation-related trauma. They were merely observers, but that attitude seems to be the same as the one at work in Japan at the time. We really need a better-calibrated sense of the dangers of radiation. EDIT: Oliver Lacan reminded me of this pertinent chart. Can I +1 this 100x? This poorly calibrated sense of the dangers of radiation are have led us down a rather sad path in terms of our energy future. The only (where hydro is not available) clean source of stable base load electricity is nuclear and it’s unfortunately ignored almost entirely. All because of this fear of radiation. The question is, how do we as a society move past this fear? We embrace science in almost every instance, be it physics, medicine, etc. But for some reason nuclear, and a handful of other hot button topics, are somehow different. We can “choose” to not believe the science. Nuclear science being a more “rigorous” science like physics than a “squishy” science like biology. And Chernobyl. While of course ignoring the yearly death toll of other sources of energy.